A 69 year old woman with a history of breast cancer and sinus issues was prescribed sulfamethoxazole trimethoprim (Bactrim) twice daily to help alleviate sinus pain and congestion. Bactrim did not help, so one of her doctors recommended nasal lavage with a Neti pot. Instead of using saline water or boiled water as recommended, the woman used tap water from a BRITA filter for one month. At the end of the month, she noticed a quarter size red rash on the right side of her nose. One of her doctors diagnosed it as Rosacia. A biopsy was performed, but no diagnosis was made. The rash persisted. At the one year mark of using her Neti pot, the woman suffered a left-sided seizure. A CT scan was performed, which showed a 1.5 cm ring-enhancing lesion in the motor cortex of the brain. Because of her history of breast cancer, the most likely diagnosis was metastases to the brain. She went to the OR, a biopsy was performed, and instead of mets, she tested positive for Babmuthia mandrillaris, a type of amoeba that causes Granulomatous Amoebic Encephalitis. There are only 200 cases known worldwide, and it’s almost always deadly. Sadly, the woman died shortly after the diagnosis. Infections from the one-celled amoebas ( Babmuthia mandrillaris and Naegleria fowleri) are extremely rare and always involve the brain being exposed to fresh water. Usually swimmers are infected, like the 29 year old New Jersey man who died from a N. fowleri infection after swimming at the BSR Surf Resort Park in Texas. Amoeba-infected water went up his nose and into his brain, which the amoeba feeds on. Literally. Yes, it’s a horrible, gruesome death. Amoebas also hang out in pipes and can end up in tap water, even tap water run through a BRITA filter. There is zero threat when you swallow the water, because gastric acid kills the amoeba. But if you shoot tap water up your nose using a Neti pot, you may send an amoeba to your brain. If you do that, it will most likely kill you. The good news is that this is easily preventable. Sinus symptoms can improve with Neti pots, but the key is to use a saline solution, a hypertonic saline solution or water that has been previously boiled or UV-treated. NEVER use tap water, bottled water or carbon- filtered water. If you have chronic sinus issues or have had surgery due to chronic sinus symptoms, you may want to look into using Lactated Ringer’s solution instead of saline solution. At least one double-blind, randomized controlled trial shows that lactated Ringer’s solution produced significantly better sinus symptom relief than both saline and hypertonic saline solutions. I don’t use nasal irrigation with a Neti pot. I use steam and essential oil inhalation instead of nasal irrigation, but a large randomized controlled trial comparing the two suggests that, at the end of 6 months, nasal irrigation with saline solution is more effective at improving symptoms of sinusitis than steam inhalation. Steam inhalation was shown to reduce the frequency of sinusitis-associated headaches, however. The study used boiled water, inhaled for 5 minutes, twice a day. When I do steam treatments, I do it first thing in the morning and at night before I go to bed, and I add Matricaria extract ( Chamomile), Thymus (Thyme) and Origarium ( Oregano). I like it, it helps me ( and my asthma) and it’s an easy method folks can try at home. If you prefer the Neti pot and it’s helping you, don’t let fear of amoebas stop you! Just don’t use tap water or filtered tap water. Ever. If you are feeling blocked or struggle with sinuses a lot, this nasal lavage kit is a bit pricey, but worth it. I have it. Dr. Eeks’ Favorite Wellness Products List! 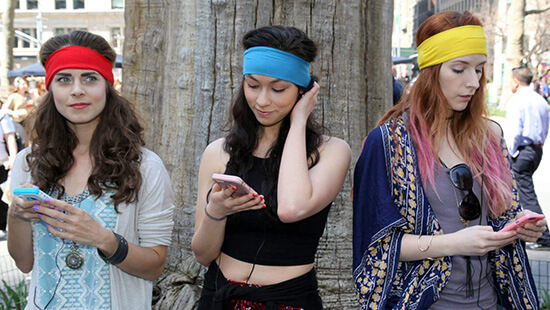 Get a ZENBand for anxiety, better sleep, travel, audiobooks and more! Follow Blooming Wellness on Instagram for Natural Health Tips & Giveaways! Interested in unique perspectives on mental illness? Add Manic Kingdom on GoodReads! So are you saying that if you inhale steam up your nose that ameobas can’t travel up through the steam? Ever since I’ve learned about nagleri fowlery I’ve been mortally terrified of steam hitting my face to the point of almost passing out because I refuse to breathe if there’s steam in my face. Well, by “steam” I mean vapor that is formed after boiling. Boil water for 5-8 minutes, and it should be A-okay.